Samsung released its Samsung Guru E1081T on November, 2011. The Cost of this mobile is Rs. 884. On September, 2009, Samsung launched Samsung Guru E1085T. Price of this phone is Rs. 900. 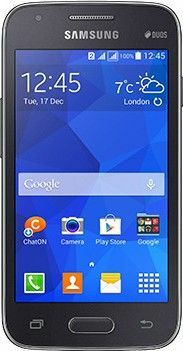 Samsung Galaxy Trend Duos S7392 comes with price of Rs. 999. and this model has 512 MB RAM with 4 GB Internal Memory. This model runs on Android 4.1. This mobile has only 3 MP Rear Camera without flash. ✓ The highlight of this mobile is 4 inches Display Size which is best available in this price range. Along with this, this model also packs some more great features like 3 MP Camera and 10.85 mm Thickness. Samsung Guru E1205 comes with price of Rs. 1050. Samsung Guru E1200 comes with price of Rs. 1100. Samsung GT 1200 RIM comes with price of Rs. 1180. Samsung Guru E1207 comes with price of Rs. 1197. Samsung Guru 1175 comes with price of Rs. 1199. 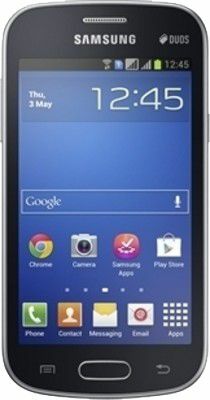 Samsung E2252 Metro comes with price of Rs. 1200. This mobile has only 0.3 MP Rear Camera without flash. The Samsung Galaxy S Duos 3 from Samsung was launched on August, 2014. Price of this model is Rs. 1247. . This mobile has 512 MB RAM with 4 GB Internal Memory. Samsung Galaxy S Duos 3 runs on Android 4.4.2. This model has 5 MP Rear Camera with LED flash and 0.3 MP Front Camera without flash. ✓ The highlights of this model are 1.2 GHz CPU Speed and 4 inches Display Size which are best available in this price range. Along with this, this mobile also packs some more great features like 5 MP Camera and 10.8 mm Thickness.